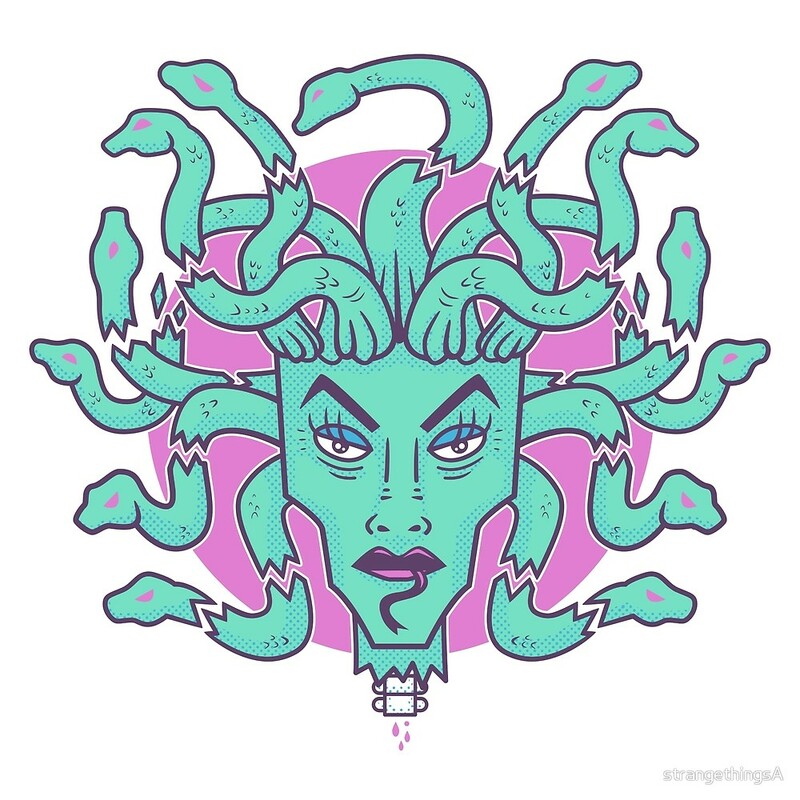 MEDUSA has some nasty hair. Look at those split ends. Slithering split ends. Gotta use a better conditioner. 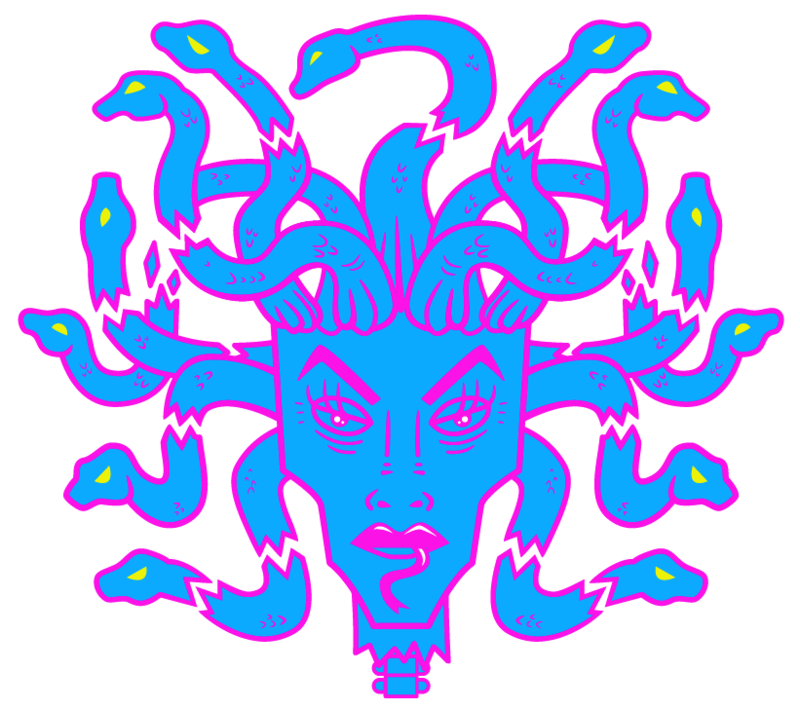 Medusa is cool. She turns people into stone just by grilling them. I love Greek mythology. Always have. I think I’m going to draw some more mythology themed drawings. They have some dope monsters, ya know? Did this for a lifeform drawing club entry on instagram. I used True Grit Texture swatches of old for the shading. Had so much fun with this drawing. I hope ya enjoy it, but please don’t look at it for too long heh… Might turn ya into stone! HEH! 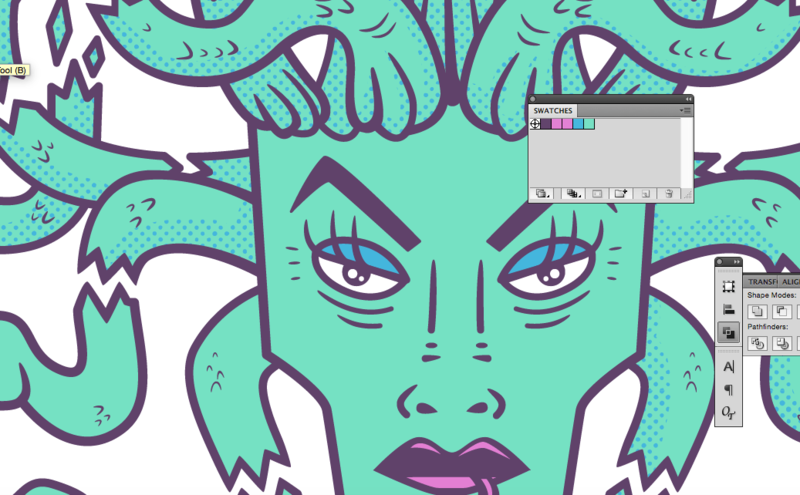 Blockin gout shapes and colors. Next Buff Dino! Such Powerful Dinosaur Biceps!